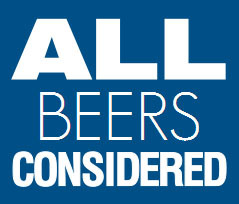 You can get the latest episode of All Beers Considered as soon as they air… choose from any of the below options, and don’t get left behind in the fast-moving world of craft beer. All Beers Considered is now on Stitcher! Listen to us on your iPhone, Android, BlackBerry and Pre. Stitcher is Smart Radio for Your phone. Go to Stitcher.com to download it FREE today. Download ABC to your computer or sync to your mobile devices with iTunes. Have a story you’d like us to cover? Email or Tweet us. Posted in All Beers Considered.Tagged Beer News, Craft Beer Alliance, Craft Beer Industry, Kona, New Belgium, Red Hook, Sam Adams, Sierra Nevada, Southern Tier, Utopias, Widmer Brothers. Sheiiiit! We aren’t even allotted any Utopia- 2 yr waiting list, I’m told. Bugger all. Would you pay $150 for one? Considering that I recently bought a Bruichladdich Octomore single malt scotch @ $140, yeah, probably. Sam Adams doesn’t catch hate because regardless of their expansion, Boston Lager doesn’t get any worse. They’re able to offer a budget-conscious craft beer that will continue fueling new people to try the product. Major props, yo.